Planning a healthy retired life? 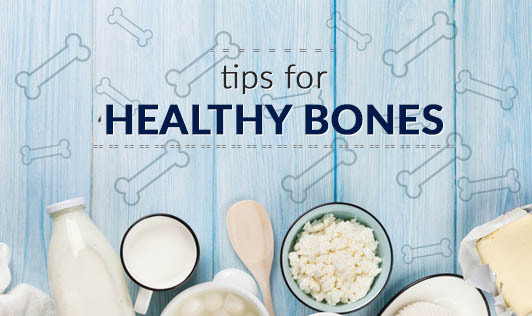 Get started today with tips on how to make your bones stronger. Stretch when you wake up. Exercise four days a week. In particular, try walking, jogging, tennis, aerobics and dance. Fish and seafood have the highest calcium content - 700-1,500 mg per 100 g.
Go easy on coffee, alcohol and cigarettes. Take calcium citrate supplements, not calcium carbonate. Citrate gets absorbed easily. 1,000 mg with 200 IU vitamin D and 500 mg of vitamin C.
Never eat calcium with milk products. It affects absorption. Have it at night, preferably thirty minutes after dinner. Curd is better than milk, since curd contains vitamin C, which helps calcium absorption. 100 g of curd has 150 mg of calcium. 100 ml cow's milk has 120 mg calcium.